Lithuania’s guerilla resistance against the Soviet occupation was a decade-long secret war which lasted from 1944 to 1953. From its very inception it was a tragic confrontation. Hope-filled dreams of liberation by the West eventually turned to resignation. The wonted cavalry just never arrived. 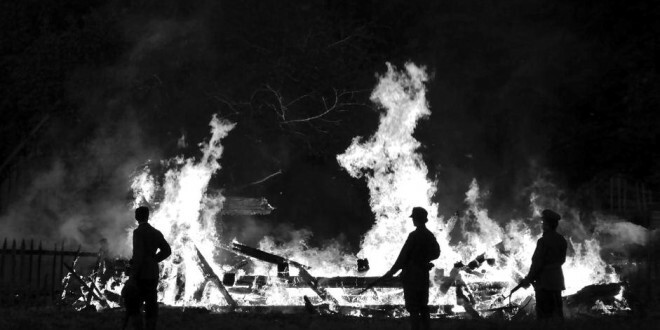 Images of mutilated corpses of young men and women and the heart-wrenching tales of loved ones, fearing to claim them as their own, compounded the tragedy. And yet the struggle and sacrifices were not in vain. 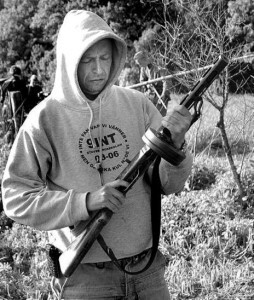 The legacy of the partisans would continue to inspire future generations even after the last shot was fired. The Lithuanian partisan movement was an eloquent testimony that Lithuania never acquiesced to the Soviet occupation. Even more so, the resistance movement seared itself into the national consciousness of the Lithuanian people. The nation continued for the next 50 years to struggle for freedom, although through passive resistance and underground activities. This struggle continued under many guises until the fall of the Soviet Union in 1991 and the resultant restoration of an independent Lithuania was achieved. The story of the uneven armed struggle against the Soviet aggressor continues to resonate 70 years later. This is the topic of a new documentary film, The Invisible Front, directed by filmmakers Jonas Ohman and Vincas Sruoginis and produced by Mark Johnston, had its debut in the US this November. 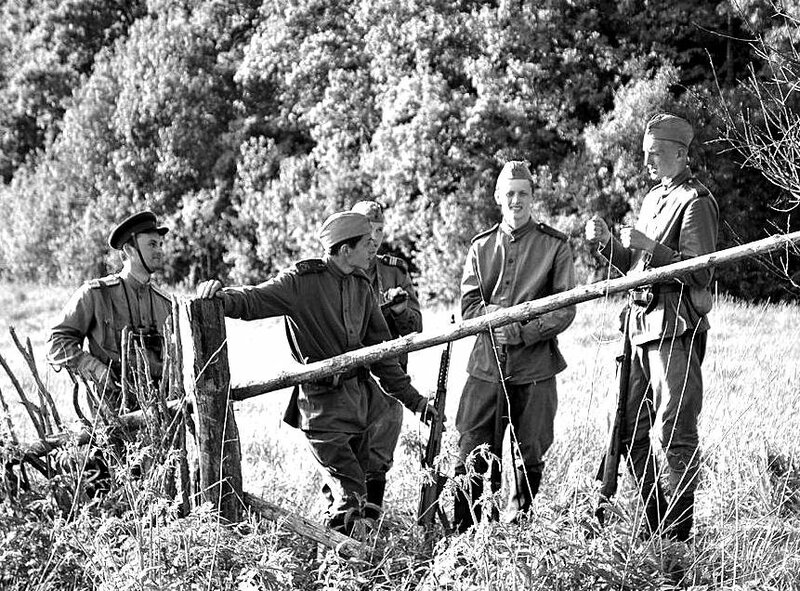 The film tells the story of the Lithuanian armed resistance against the Soviet aggressor, through the person of Juozas Lukša (code name Daumantas). Lukša (1921-1951) was one of the principle leaders of Lithuania’s resistance movement following the second Soviet occupation. In 1946, together with his three brothers, he joined a squad of Lithuanian guerillas. These squads hid in secluded bunkers dug in Lithuanian forests. They were popularly known as the “Forest brothers.” The partisans maintained a strict military structure. Lukša quickly rose through the ranks, successfully bringing local squads under a centralized leadership and further maintaining contact with the West. In 1947 he broke through the Iron Curtain into Poland, and in 1948 reached the West. Lukša stayed abroad for three and a half years seeking help for the underground movement in Lithuania and maintaining contact with the Supreme Committee for the Liberation of Lithuania (often referred to by its Lithuanian acronym VLIK). It was at this time that he wrote the book, Partizanai (The Partisans) – a first-hand account of the resistance movement in Lithuania, detailing the daily life and struggles of fellow partisans. While in the West, Lukša received training from the CIA. He also fell in love and was married to Nijolė Bražėnaitė for just a week, before the CIA parachuted him back to Lithuania in 1950. There he found a grim situation. Many partisans had already been been murdered, or deported with their family members to Siberia. Morale was low. Many squads were infiltrated by “smogikai” – partisans-turnedinformers. It was clear that the fight could not continue indefinitely. Soviet forces, alerted to the fact that Lukša had returned, staged an all-out manhunt. He was betrayed by a fellow CIA operative, Jonas Kukauskas, and died in a skirmish in a forest between Veiveriai and Prienai in September 1951. The movie The Invisible Front, six years in the making, chronicles Lukša’s life through interviews, archival and reconstructed footage, and letters. It was first screened in March 2014 at an international film festival “Kino pavasaris” (Cinema Spring) in Vilnius. It was voted as Festival Favorite by the audience. Later, in July, the film was shown at the World Lithuanian Youth Congress in Vilnius where the young audience gave the filmmakers an extended standing ovation. In August, the film was released across Lithuania, to overwhelmingly favorable reviews. This November The Invisible Front was shown in New York, Chicago and Los Angeles, for one week runs in each city. 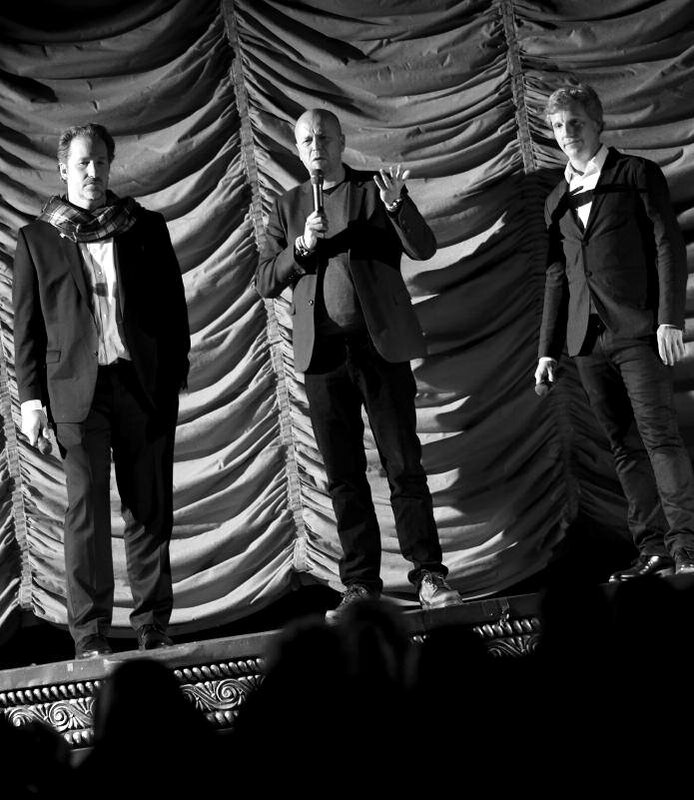 The creators of the film, directors Vincas Sruoginis and Jonas Ohman, and producer Mark Johnston attended numerous showings and participated in question and answer sessions following the film. The creators of The Invisible Front brought to the project very different life experiences. Director Jonas Ohman is Swedish but has been living in Lithuania for the last ten years. He is a translator of literature and nonfiction, journalist, filmmaker. In 2005 he translated Lukša’s book Partizanai into Swedish. This fueled his interest in interviewing witnesses of the Partisan era. As a result of this he produced a television documentary “Smogikai” in which he filmed interviews with living partisan turncoats. (The film can be seen on You-Tube, however, only in Lithuanian). Co-director Vincas Sruoginis, was born in America to Lithuanian parents. He lives in New York and works in advertising. His grandfather was the famous Lithuanian diplomat Anicetas Simutis (1909-2006), who was the first ambassador to the United Nations for the newly-restored Republic of Lithuania. 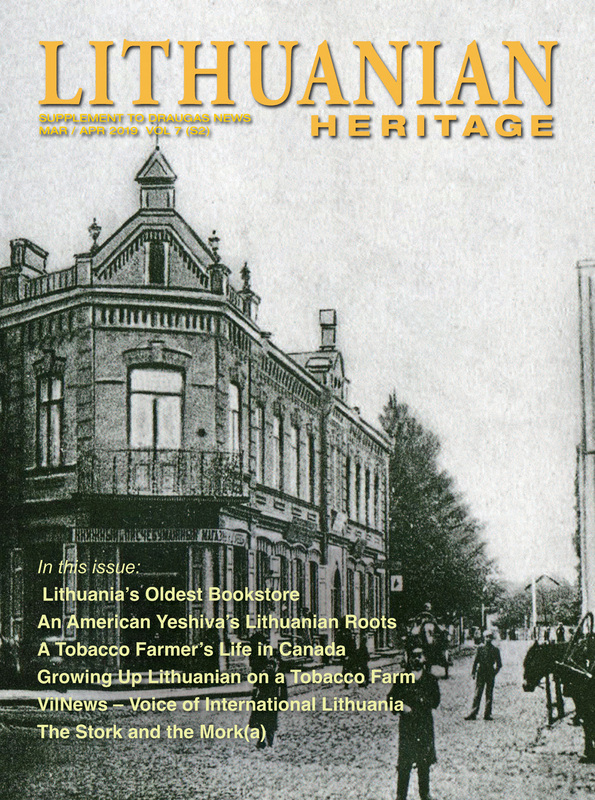 He began working at the general consulate of Lithuania in New York in 1936. When the Soviets closed the embassies of Lithuania in 1940, he refused to submit to their demands and he continued to represent independent Lithuania. Producer Mark Johnston is Swedish-born, but lives in the US. He is a graduate of the USC School of Cinema in Southern California and has produced award winning commercials for brands such as Adidas, Nissan, Sony PlayStation, Bacardi, and American Express. Mark is inspired by the resistance movement and works to showcase people sacrificing themselves for freedom so they may not be forgotten. In an interview the three shared their thoughts about the challenges of creating the Invisible Front. Jonas: Let’s put it this way, we are a very interesting triangle, nationally speaking. I, Jonas, I’m Swedish but you can say I’m Swedish Lithuanian since I live in Lithuania. Vincas is American Lithuanian. and Mark is Swedish American. So there are three nationalities in our little group, and we bring different qualities to the project and affect each other in very interesting ways. I definitely see the need to tell the story of the partisans and Juozas Lukšta. It’s a very interesting, very compelling, complicated, and sad story. I wanted to do make this film since 1996 when I read Juozas Lukša’s book for the first time. I later translated it into Swedish. It was very successful. I started to contact people who lived through the events referred to in Lukša’s book. I realized that there were so many interesting people, so many interesting stories. So with the money I received from the translation, I bought a video camera, and I started filming these people. Of course, in a very amateurish manner, but still I did it. Vincas: As a kid I would attend summer camps at Camp Neringa (Ed. note: Camp Neringa is a camp for Lithuanian American children in Brattleboro, VT, run by the Sisters of the Immaculate Conception). One year there was an older guy there, that is, he was older than me. His name was Antanas Kulbis. He passed away very young. He made a short film about partisans that he filmed in the forest surrounding the camp. That was about 1982. He showed the film at camp. It was an inspiration for me that a young filmmaker in his 20’s could make a film. That was really kind of cool. It had a huge impact on me. Mark: Let me interject. I had no idea who these partisans were, let alone that Lithuania existed as a country prior to 1991. I thought that it was just a state in a very unhappy USSR, the way California or New York are states. I was backpaking in Europe and visited the Genocide Museum in Vilnius. I’d been to many war museums, Auschwitz being the most impressive, but the one in Vilnius came in second. The story of the Partisans, the story of the youth fighting against an oppressive regime is kind of a universal story. For me as an American, I thought that this would be an amazing story to put to film. So we came to making the Invisible Front from three different points of reference and I think that is reflected in the film. Because of our collaboration, our film has a very western point of view, not just a patriotic Lithuanian one. I think we were successful in telling the partisan story honestly. Hopefully our viewers will agree. Jonas: It could be added that, this story is not over yet. This film, being shown now, adds to the understanding of the traumatic history of Eastern Europe, and now of Russia’s intervention in Ukraine. One of the important features of the film is to provide a role model of what it means be Lithuanian. You cannot back down; you have to be willing to fight for freedom, for the truth. Mark: That goes for anyone who fights against a totalitarian regime. If you like the Hunger Games, you will love The Invisible Front, because it is the real story of youth not backing down, not having a choice, fighting for their freedom. The Hunger Games will probably be the biggest box office success, ever, and it’s exactly our story, except ours is true and not sensationalized. DN: Did you have a story line set up before you started making the film, and did the film change as you were working on it? Vincas: We started with a story line, but it changed throughout the production. Mark: Yeah, it was incredibly difficult. It’s a 70 year old story. There was a lot of research and many interviews that lead to other interviews, that lead to new discoveries and people that we never knew. There was voluminous archive material that helped us thread the story together. I would say the film kept evolving and changed up until the very last edit. I think we had six different versions of the film. Jonas: I think the biggest uncertainty when making the film was developing the Kukauskas story. We had not given it a lot of forethought, but it became our mission to discover more about him. We needed to develop an antagonist character. Kukauskas was the one who betrayed Juozas Lukša. DN: Are there any Partisans still living that you were able to interview? Mark: Yes, many. But now, not so many. Sadly, I think three have passed away since we began working on the film. We did over 50 interviews. I always like to point out that we must have eaten at least 300 cepelinases and drank some 500 shots of brandy throughout the interview process. DN: Were you able to interview anyone from the other side, enemies of the partisans? Jonas: Definitely, a couple of people. The Kukauskas footage was filmed by somebody else in 1990. We were fortunate to locate it. I had previously made a film, Smogikai, solely about the other side, about the dark side of resistance. That provided many good contacts. We also found Russian soldiers, Russian interior troops and KGB troops. One officer from the KGB speaks in the film. He’s able to tell his story. It shows the darker side of the Cold War resistance, because many citizens, who cooperated with Soviet soldiers, were executed by the partisans. Vincas: So, that’s in the film as well. DN: Were you able to make use of any archives, KGB archives in LIthuania or Russia? Jonas: Yes. The KGB put enormous efforts into this man hunt. And it’s amazing to read the material. We managed to retrieve a KGB instruction film on how to hunt infiltrators from the West that descend by parachute. We used that material to some extent. We also filmed reconstructions, shot with a 16 mm camera. DN: Is there any archival material from the CIA? Jonas: Definitely, especially from the latter part, from 1950 and 1951. I sat in the CIA archives in Washington for a long time. 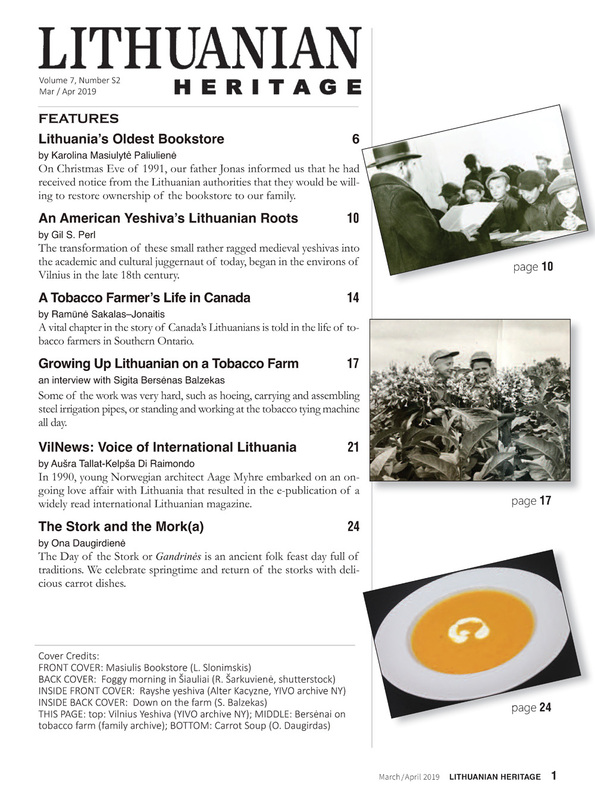 They have lots of material on Lithuanian and Cold war resistance. We ended up using a small part in the film. The CIA even had information about the death of Lukša in its archives. Though, at that time, they probably didn’t know that that was him. DN: Did you come across anything that you didn’t expect to find? Jonas: One thing struck me when I was visiting the CIA archives. There’s about 20 times more material on Lithuania as Latvia and Estonia. I think it shows the scope and intensity of the Lithuania post war resistance compared to Latvia and Estonia. Also, the CIA knew that bodies of slain partisans were placed in town squares. There are some very moving accounts. One example: the inhabitants of one village approached the KGB and asked them to remove the bodies from the town square, because their children were having nightmares. So, you see, they even dared to approach the KGB. From such details you realize that the CIA knew what was going on in Lithuania. They also have lists of names of deported Lithuanians. So the US government had lots of accurate information about what was going on. The amount of detail is somewhat surprising. DN: Are these CIA archives open to everyone? Jonas: Pretty much, you can access the archives. Mark: But it’s a little bit like Indiana Jones. You really have to know how to do the research. I was at the archives for a few sessions with Jonas, and it takes hours and hours and hours to find one little nugget that leads you to others. There is such a vast amount of information buried in the whole post war archive. Vincas: And, of course, I do not think that they gave us access to all of the Russian archives. I am quite sure. I went there a couple of times, but quite honestly unsuccessfully. Because they’re not willing to share. DN: Can you describe the personality of Juozas Lukša? How do you read him? Jonas: As a great idealist, but able to make things happen. He lived his idealism. Mark: Very founded in Pre-War Lithuania. His mother was probably the most important person in this whole setting. She put very high expectations on her four sons and Juozas was obviously her favorite. Jonas: Dare I say a very heroic figure, on the one hand. On the other – a character from a Greek drama. Mark: It is interesting that he was in charge of the underground printing press. Jonas: Yes. If you live in Lithuania you’ve got to be able to handle a pen as well as an assault rifle. And I think Lukša did those two things very well. Mark: He was one of the first that started to realize that the pen was mightier than the sword. He realized that armed conflict would not solve the problem because Russian propaganda was so strong. His focus shifted toward getting the war of information straight. You know, maybe he was ahead of his time, understanding what we do today, that it’s all about information. DN: Did this project affect you personally? Jonas: Definitely. I’m now supporting the Ukrainian army. When you live in Lithuania, and you want to make it be a better place to live, you have to fight for it. I now perceive the fight in Ukraine as a fight for the well-being of Lithuania also. Lukša and all those involved in the Lithuanian resistance are very good role models. After making this film, I understand the people of Ukraine and their aspirations better and better. Vincas: Making this film taught me more about my Lithuanian culture, history and heritage, than I had learned in all my previous years. And I thought I knew a lot. It affected me on a personal and emotional level. The interviews, the archival photos of killed partisans, the images of mutilated corpses, they all affected me. They looked like me or they looked like family members. We are the same people. We speak the same language, we have the same blood. It was very painful. I had a lot of nightmares while making the film. I would sit up nights going through the footage, reading the transcripts of the interviews… It was very difficult. It changed my perspective on life. I am really grateful for the life we have here and thankful for what they did for us. It changed me on so many levels. Filmmakers Vincas Sruoginis, Jonas Ohman and producer Mark Johnston at the Music box theater in Chicago. DN: How has Lithuania’s youth responded to the film? Jonas: I would say about a third of the high school students who saw the film were extremely moved by it. Lithuania is going through a very very painful process of migration and social change. In the beginning of Juozas Lukša’s book he writes: we’re proud of this challenge of the Russian occupation; we must answer the question do we stay and fight or try to escape to the West? It is almost ironic, that young people in Lithuania are facing and asking the very same questions today. Of course, it’s differen. The challenges are different, but the question remains the same. To have a third of high school students touched by the film is a victory for Lithuania. Mark: I’ll just add to that the high school and college students have been our biggest demographic. Male or female equally split. Especially when we look at our Facebook page. Of the people are actively looking, most are between 18 and 24 years of age. DN: Do you have any sense of how Americans will accept the film? Jonas: We screened the film a couple of weeks ago in Vilnius for a company from the US 173rd Airborne Brigade. Vincas: The audience was very young, in their late teens, early 20s. Their eyes were glued to the screen. It was very strange watching all these Americans viewing the film. One of the most amazing things was that after the film, nearly every single soldier who was there, came up, shook our hands and thanked us. And a couple of the commanding officers had mentioned to me that if they had seen the film the first day they were sent to Lithuania, that they would have had a much greater understanding of the country and of their Lithuanian partners, their mentality, what their experiences were. They are planning to show the film to every new troop that rotates into Lithuania so that they can get an idea of the fight that we fought and what makes up our cultural identity. I’m hoping that it’ll help the Americans come to an understanding of who we are as a people, where we come from, and how we fit into the world, because a lot of people don’t know anything about Lithuania. And hopefully they’ll also enjoy a nice love story. 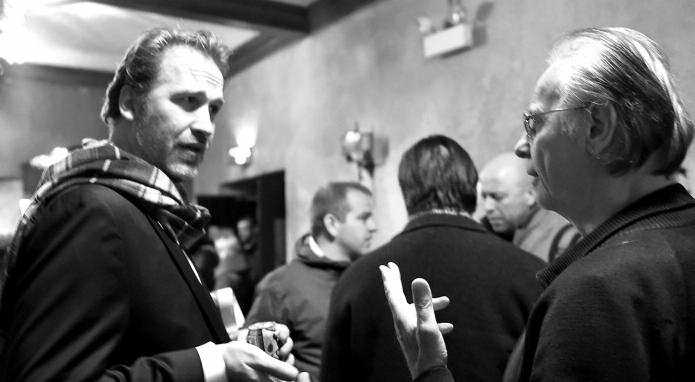 Vincas Sruoginis converses with Jonas Platakis, Lithuanian Hall of Fame President, at the Chicago premiere of Invisible Front.